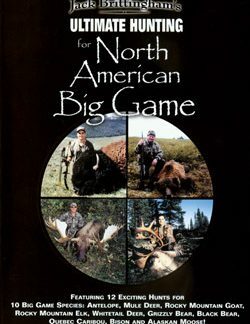 Span the continent with Jack Brittingham as he takes you on a twelve action packed hunts for ten different big game species. Join Brad Servers as he hunts Rocky Mountain Goat and Grizzly in British Columbia. Watch as Dan Moultrie takes a 37 inch Mule Deer in Colorado, a massive Whitetail in Kansas, and a beautiful 6×6 bull Elk in New Mexico. 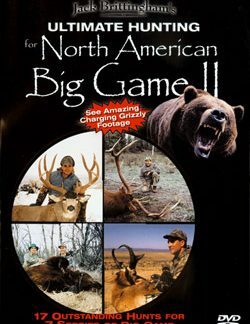 Feel the excitement as Jack’s son, Trevor takes his first Antelope, and be right in the middle of the action as Jack hunts for a 70 inch Alaskan Moose, huge Montana Bison, Elk in New Mexico, Caribou and Black Bear in Quebec, and an exciting spot and stalk bow hunt for a giant Kansas Whitetail! No video collection is complete without this new series on North American hunting. 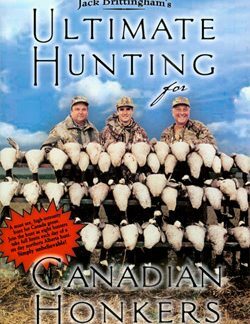 Hosted by Jack Brittingham and Dr. Denis Spence.